From East Coast to West, nothing rounds out the evening like warming up in front of an outdoor fireplace or fire pit with friends and family. Here are the 8 most popular recently uploaded outdoor fireplaces and fire pits, measured by the number of people who saved them to their Houzz ideabooks from July through September 2016. 1. 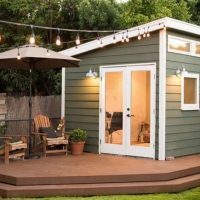 This north London deck is an inviting space for even a chilly evening. Masses of purple lavender enclose an intimate built-in seating area, while a distressed pallet table provides a place to rest a drink or spread out charcuterie. The star of the show is perhaps the built-in fireplace with firewood storage. Rustic, yet contemporary, it brings a perk of the outdoors to the city. 2. 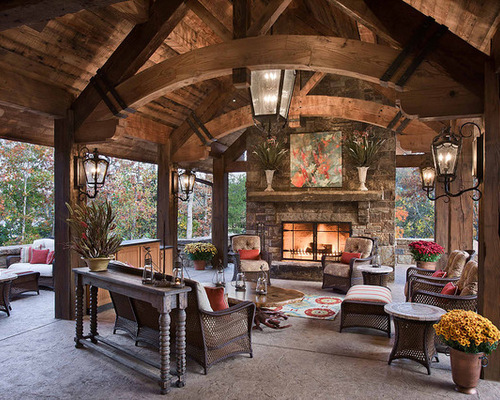 This covered patio in Texas takes ranch style to the next level, from the roaring fire to the massive rough-hewn timbers and the awe-inspiring view beyond. 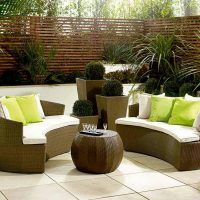 There’s no rush to take it all in, which can be done from one of the many wicker chairs. 3. 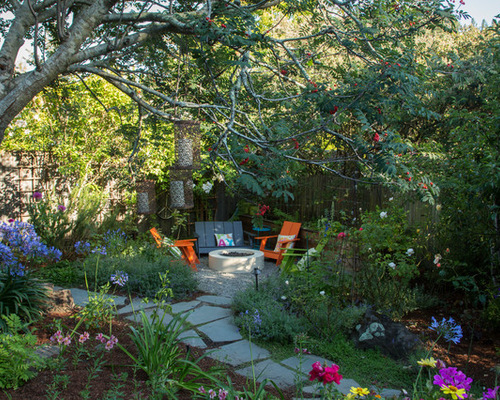 Bibby Gignilliat puts on team-building events and private parties for a living, sometimes at her home, so it was important that her backyard in Mill Valley, California, be welcoming and inviting. 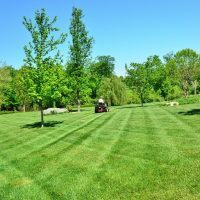 “One of the first things I put in the yard was a fire pit,” Gignilliat says. 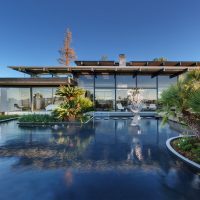 In the corner of the backyard, the contemporary fire pit is surrounded by brightly colored chairs and cushions, a theme Gignilliat carries through the rest of the yard. “I love color. It’s a passion of mine,” she says. 4. 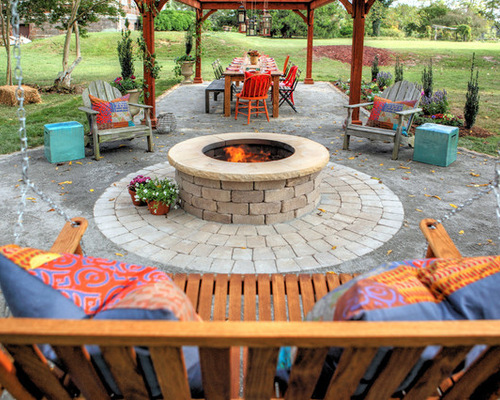 A stacked brick fire pit stands out in this Virginia backyard, with an inviting dining area beyond. 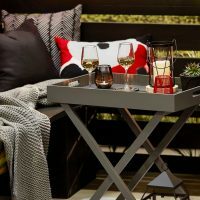 Colorful cushions and furniture pieces tie the outdoor seating areas together — even incorporating fiery hues that nod back to the fire pit. 5. Breaking this large covered patio into smaller gathering areas makes each space feel more intimate and inviting. 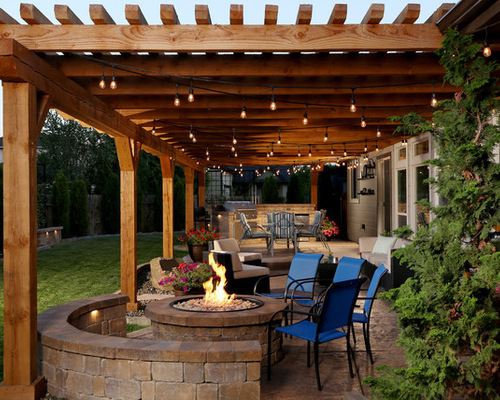 On the near end, a gas fire pit, surrounded by patio chairs and a stacked block seat wall, anchors a cozy conversation area. 6. 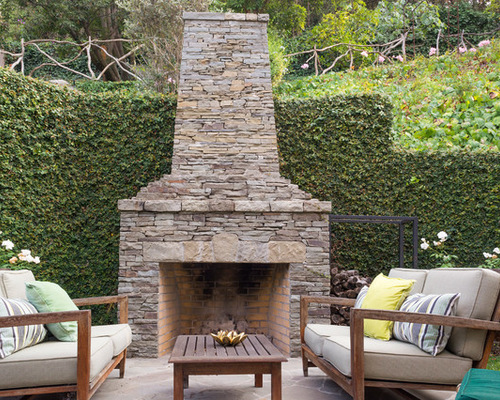 In the Hollywood Hills neighborhood of Los Angeles, this custom stacked stone fireplace and teak sofas next to a vine-covered wall invite visitors to sit down and stay awhile. Neutral tones and natural textures evoke a laid-back California style that appears effortless yet cohesive. 7. 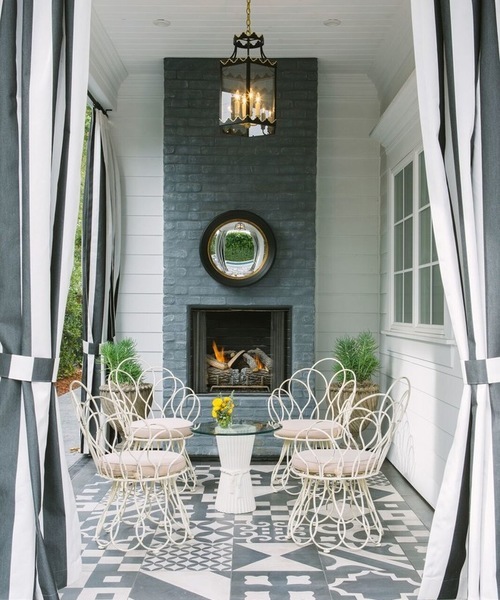 This chic outdoor nook in New York mixes materials and bold patterns but keeps the color palette simple, resulting in a cohesive space. The painted brick chimney and round mirror reinforce the fireplace as the room’s focal point, drawing guests in to take a seat. 8. 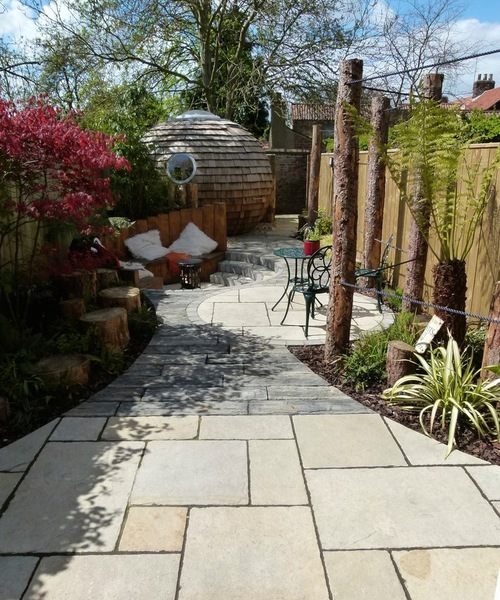 This narrow backyard in East Yorkshire, England, winds its way to a shingled garden shed, passing a cafe table and chairs and a sunken seating area en route. 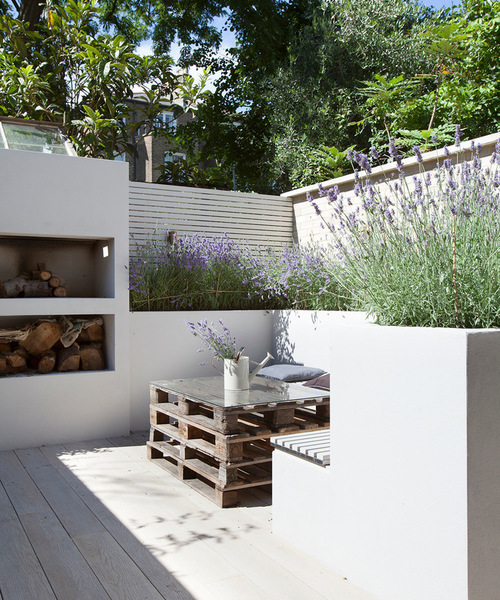 The sunken area features a built-in bench and generous steps for extra seating around the portable wood-burning fire pit.